Success Story Afterain - ASUSTOR Inc. The computers at Afterain’s offices are mostly Windows machines that designers use to complete 3D and 2D design projects which require a significant amount of digital storage space. In addition to the limited amount of storage on each employee’s computer, they also require shared storage on the office LAN for storing various types of large design project files, sharing files across departments and most importantly for file backup. In addition to providing original designs, Afterain also produces finished products, having to regularly confirm design files with downstream manufacturers and clients, making file sharing an important requirement. For Afterain, its original designs are its most valuable assets. Due to concerns about data security, they have elected not to use any type of public cloud storage service. Afterain relied mostly on email to send out their files, with large size high resolution design files between 150-200 MB being sent out in batches or placed on a flash drive or CD and then physically sent to clients or production sites. These methods were time consuming and inconvenient. Futhermore, Afterain produces and promotes different brands for various designers. Because of the limited space available on their website, they are only able to show a few representative works for each brand. They require a dedicated platform to show more complete collections of the different brands to prospective customers. Although our office currently only has 20 employees, after considering our future plans for growth and expansion, we felt we really needed a stable, secure and high performance storage solution with flexible expansion options,” said Yi Wei Shen, Office Director at Afterain. “After a thorough assessment of the various options available, we decided on ASUSTOR’s AS5004T NAS model for our company’s main cloud storage needs. We believe that this device will more than meet our needs for current and future cloud storage. The AS5004T features online capacity expansion and supports the largest capacity hard disks on the market, although users are free to select appropriate sized hard disks for their current needs. 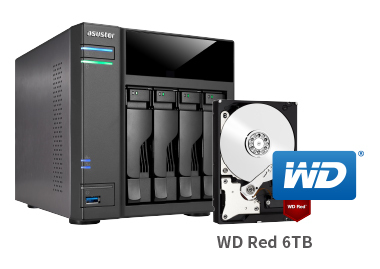 Based on compatibility recommendations, Afterain elected to use 6 TB WD Red hard disks in a RAID 5 configuration for added data protection while reserving a single disk bay for creating and using MyArchive hard disks. This has allowed Afterain to create dedicated cloud storage for their design business that meets their current budget. 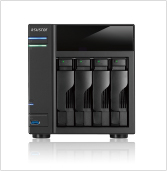 Additionally, all ASUSTOR NAS device support seamless system migration, which allows for the transfer of all hard disks from one ASUSTOR NAS device to any other ASUSTOR NAS device. This provides significant flexibility when upgrading the system. As Afterain’s storage budget increases, they can consider higher capacity devices that are able to support more hard disks such as the AS5008T or AS5110T, transferring their existing hard disks from the AS5004T to the new device for instant access. The AS5004T features a variety of connection ports and a high degree of compatibility. Users are able to externally connect devices such as USB 3.0 SuperSpeed devices, eSATA devices, printers and UPS devices, providing significant deployment flexibility. Furthermore, with regards to storage management, the unique MyArchive function essentially provides limitless storage capacity, letting each designer at Afterain to use individual hard disks to back up their own work and access it at any time via plug and play. ASUSTOR’s ADM (ASUSTOR Data Master) operating system was designed to provide a usage experience similar to most tablet devices, making it extremely easy to use. This provides a huge benefit to Afterain as they do not have any specialized IT staff. 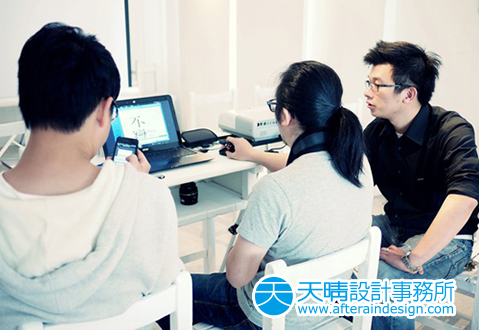 At Afterain, 2 or 3 employees are chosen to handle IT duties, with the ADM interface significantly simplifying their jobs. 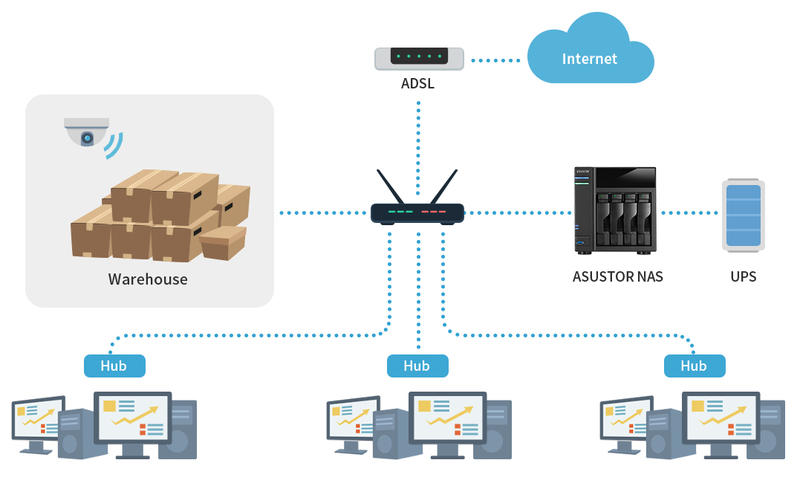 Additionally, ASUSTOR’s App Central provides a variety of free add-on Apps like the Photo Gallery online photo album which allows designers to display their works and Surveillance Center which allows users to manage their own surveillance system, keeping an eye on important assets such as warehouses. ADM provides fast and easy file access, allowing the Afterain staff to quickly access files on the NAS when they are participating in exhibitions outside of the country. After the Photo Gallery App has been installed on the NAS, AiFoto can then be installed on mobile devices, allowing Afterain designers to instantly display the works stored on the NAS to potential clients at exhibitions. Additionally, the AS5004T provides a variety of file sharing methods such as FTP, ShareLinks, downloading original files via Photo Gallery and more, allowing file transfers to not be limited by email attachment size restrictions. The AS5004T features a superior combination of hardware and software along with a variety of practical management functions such as backup functions and file access via My Network Places, allowing all employees to backup data from their computers to their individual Home folders on the AS5004T, preventing the possible damage or losses that could occur should anything unfortunate happen to their computer. “We are elated to have selected a highly customizable cloud storage device that is well suited to our company,” adds Yi Wei Shen. “Not only has it become an excellent tool to increase our productivity, but also protects the critical assets and hard work of all our designers.” The AS5004T features a superior combination of hardware and software along with a variety of practical management functions such as backup functions and file access via My Network Places, allowing all employees to backup data from their computers to their individual Home folders on the AS5004T, preventing the possible damage or losses that could occur should anything unfortunate happen to their computer.